PalPilot is in the unique position to utilize its vertically based manufacturing technologies and expertise in engineering to define customer specific designs in the medical fields. With our unsurpassed workmanship in custom design and development, we are able to provide – Medical Grade Connectors, Medical Cable Assemblies, Printed Circuit Boards (PCBs), and Complete Medical Solutions. With our vertical manufacturing, we are able to support large and small mix builds – from the most complex designs to the simplest. Our business model is to provide exceptional service and quick response time with attention to detail, continuous improvement, and knowledge of cutting edge technologies. 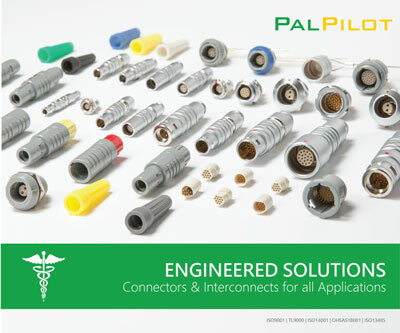 PalPilot is committed to quality without compromise to meet your medical applications . As a leader in PCB, Components, Cable, Assembly, and Device Manufacturing, we know the critical role that our products play in the medical field(s) worldwide. We take our responsibility and our quality seriously, and we are privileged to offer you the finest support in engineering and manufacturing within Connector, Cable, Assembly, and PCB Custom Medical Builds. The company has headquarters in Tustin, CA, and Milpitas, CA, with engineering sales forces throughout North America, Europe, and Asia. Our sales engineers can help design and lead you with expertise in our Connector Solutions, Cable Solutions, PCB Solutions, and Device Manufacturing Solutions. With our ability and experience, PalPilot ensures nothing but the highest standards in engineering, service, performance, and quality – knowing that in the medical fields, lives are in our hands. Certified to ISO 9001:2000 and ISO 13485:2003, we also manufacture Complete Turnkey Solutions on an OEM basis for Monitoring Devices, Surgical Tools, Ablation Systems, Catheters, ECG Measurements, Patient Care, and Home Care Devices. Our workmanship is found to be flawless in countless Medical, Aerospace, Commercial and Industrial Products around the world. With our broad capabilities in materials, machining, tooling and engineering, we know the demanding challenges of these market segments. You will be pleased to know that PalPilot continues in long-term R&D investments to continue to stay on the cutting edge of what the next generation of medical manufacturing will offer. PalPilot continues to search out and reach new business platforms such as its customer friendly PCB (KU) software platform to design PCBs in areas of eMobility, Medical, Test & Measurement, Industrial, and ECO Energy. 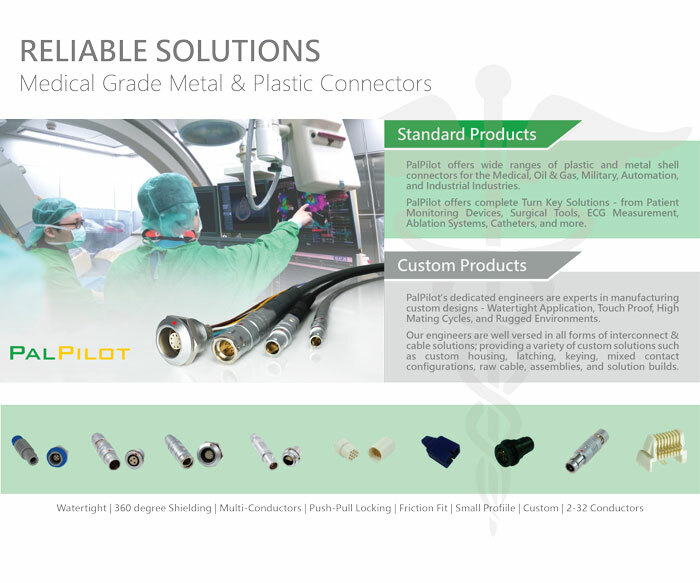 Palpilot is dedicated to being a leader in Medical manufacturing by applying technology to continually improve the performance properties from engineering to manufacturing in arenas such as; custom cable, assembly, harnesses, and manufacturing services, reliable interconnects for a variety applications that include sterilization and custom specific connectors, molds and much more. For more information contact PalPilot International Corp.